SINGAPORE: Rental prices for non-landed private homes fell for the ninth straight month by 0.4 per cent in October compared to September, according to flash estimates released by SRX Property on Thursday (Nov 12). Units in the Core Central Region and Outside Central Region both saw decreases in rents of 0.8 per cent. Homes in the Rest of Central Region saw a 0.4 per cent increase. On a year-on-year basis, rents in October were down 5.7 per cent. Rental volume fell 2.7 per cent, with an estimated 3,448 units rented in October, compared to 3,542 units rented in September. Rental prices for Housing and Development Board (HDB) flats in October dipped slightly at 0.5 per cent wheh compared to September, according to SRX Property's estimates. Rentals for 3-room and 4-room flats fell 0.5 per cent and 1.2 per cent respectively. 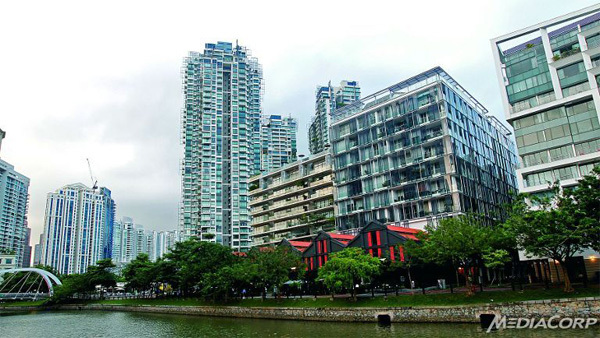 In contrast, rentals for 5-room and executive flats rose 0.1 per cent and 1.1 per cent respectively. Year-on-year, rental prices for HDB flats in October were down 3.3 per cent. Rental volume decreased, with an estimated 1,602 flats rented in October, down 3 per cent from 1,652 units rented in September.